An auto warranty is an extended period in which your vehicle is still covered by a warranty. It is almost the same thing as offered to you by your dealer when you buy your car, but when it runs out, you can protect yourself from expensive repairs. 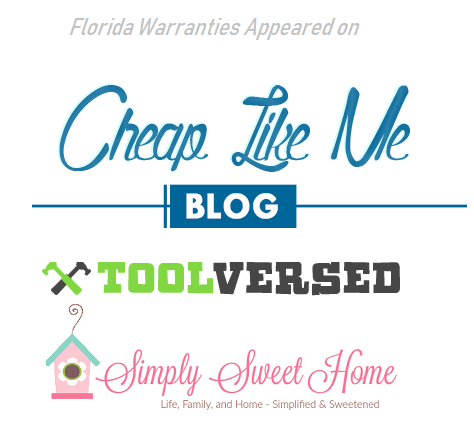 Auto warranties are quite popular in Florida and some of the best auto warranty companies are active in the FL area. When you buy an auto warranty in Florida, you should feel completely comfortable with whichever vehicle you want to buy warranty for. The best companies are happy to accept both new and old vehicles, and even trains! These are the companies servicing FL residents that we were able to find on our research. To really inspect what is offered by each auto warranty service provider (as the sites are too generic and difficult to understand) we have decided to hire a mystery shopper who would call up these companies. Here is the information that we have collated during this inspection. Please note : we tested these companies in regards to quote for Honda Accord with low millage (new model). The quotes will heavily vary based on the car type, model, and year! Cheapest warranty cost would not discuss this option with me. Name of such policy + a sentence or two about it Power Train - Covers the most important parts of your vehicle, including all lubricated parts of the engine, water pump and transmission. Name of such policy + a sentence or two about it New Car - Mirrors the manufacturer warranty that accompanies a new car, covering everything from engine and transmission faulire, starter problems and more. Notes: You call in and reach "in-take", are transferred to a sales rep, then I was transferred to a sales manager, who was very pushy. Name of such policy + a sentence or two about it Powertrain - basic running gear, electical, drive axle, brakes and cooling system. What happens if the same things breaks again after repairs? Would depend on repair shop. Name of such policy + a sentence or two about it Select Premier -vital componants of high milage vehicles. Cheapest warranty cost $69 down / 24 pymnt of $81. normally, $189 down, promo good for 48 hrs. Best warranty cost $69 down / 24 pymnt of $85.30 normally, $189 down, promo good for 48 hrs. Is the plan transferrable with the car sale? Y - new owner or pro-rate buy out. Notes: 24/7 roadside assit, trip interuption, towing, locsksmith, dead battery and out of gas services. Can I cancel it for free in X days after buying? 30 days within review period, pro-rated after that. Did you buy the car new. How many miles do you drive a month? Notes: 24/7 roadside assist, trip interuption, towing, locsksmith, dead battery and out of gas services. Monthly payment yes yes no ? yes yes ? If you really want to purchase an auto warranty in the California area you need to pick up the phone and collect quotes which are specific to your situation ad the kind of coverage you need for your own car, model, and year. Florida DMV Guide to the Florida DMV – Department of Motor Vehicles covering drivers license, auto insurance, car registration, traffic school and more.